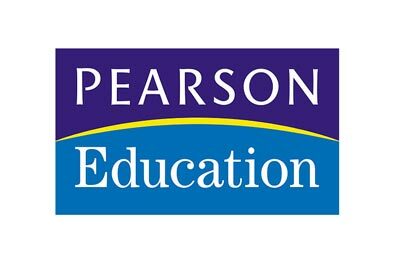 Pearson, a UK-based education company, and StudyPlus, a subsidiary of ScorePlus Middle East, have partered to provide thousands of school children in Qatar with state-of-the-art learning programmes at their newly established centre at Al Saad Doha. The programmes cover key areas in mathematics, literacy and English language curricula and have been specially developed to overcome the learning challenges commonly faced by students in these areas. The programmes include Mathematics Navigator, a highly flexible learning tool designed to overcome misconceptions and fill critical gaps in students’ knowledge by building conceptual understanding and problem solving skills. Their algebra skills will also benefit through the use of Onramp to Algebra, a programme designed to ensure students are adequately prepared for advanced algebra instruction. Literacy Navigator will be implemented under the project to develop students’ skills in comprehending informational text and to help students navigate the texts found in their content area classes, such as science and social studies. English language development will be assisted through the implementation of the Language Central programme in schools, targeting a student’s conceptual understanding, academic vocabulary, written and oral language and comprehension skills. Nigel Kelly, head of Middle East publishing at Pearson, said: “Under the Qatari National Vision 2030, the Qatari government is seeking to create a diversified economy reliant on a number of sectors other than just the oil and gas industries. In order to achieve this goal, the government understands that it needs an advanced educational system, and increased participation in the workforce by nationals. "The provision of programmes such as the Math and Numeracy Navigator will contribute in a small but significant way to the fulfilment of this ambitious vision”. Hukumat Kalwani, chairman and managing director at ScorePlus Middle East, said: “We have worked with students and schools across the region, providing internationally acclaimed programmes. These include the English language programme, Inlingua, and the Princeton Review Test Preparation courses for SAT, Toefl and IELTS.